Originally published in 1866 under the pseudonym "A. M. Barnard". Louisa May Alcott's novel of romance and sexual intrigue is one of her lesser-known gems. Its tone and characterizations strike a markedly different chord from her best-known works, such as "Little Women" and "Little Men," and it remains a popular addition to her oeuvre. Alfred Hitchcock would be (MAYBE WAS) Proud!! Thoroughly enticing!! Had NO IDEA that this dreamy author could manipulate the story lines to weave such delightfully an EVIL (and perfectly acceptable!) plot line! This is the most satisfying ending imaginable! I DARE YOU TO FIND AND LISTEN TO THIS!!! THANK YOU, THANK YOU, THANK YOU, AUDIBLE! Fun Intriguing Romance, Outstanding Narration! Louisa May Alcott's prose is concise and tight, and includes some delightful period-specific interjections and characterizations. It’s a tight little story and doesn't meander in elaboration beyond necessity - every quip and gesture as written is integral to the whole story. With modern sensibilities, one is found rooting for the villain - certainly at least one of the juxtapositions Miss Alcott almost certainly intended for ‘her girls’. 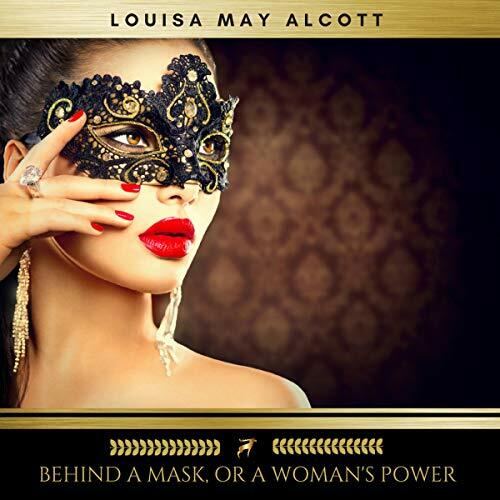 This audio production of Behind a Mask, or a Woman's Power has renewed my interest in all of Miss Alcott’s publications! My favorite aspect, though, is Erica Collins’ narration. Her voice seamlessly maneuvered the male and female characters, her diction was always clear (so refreshing! ), her inflections were expert in expressing the intended emotions, and the accents were exceptional to my ear: Parisian French, Scottish Brogue, moderate British aristocracy and domestics, and the non-character American narration with an endearing slight lisp not obviously apparent in the other dialects. I found myself searching for any/all Audible books narrated by Erica Collins and wished I could find out more about the player herself – ethnicity/origins, languages, education, her other performance history, etc.! I will certainly Listen to this book many more times!